'Make sure your adviser is a Chartered Accountant' is a new awareness raising initiative from ICAS to promote CAs as business advisers. The initiative will target business owners and emphasise the superior level of expertise a CA can offer. Firms are being invited to use the marketing resources to promote the initiative and to boost their business. ICAS is launching a new initiative to emphasise the value CAs have as business advisers. This new initiative will promote the CA brand among the business community as a mark of experience and professionalism. ICAS members have a presence in almost every industry and sector around the world and, as such, are uniquely paced to help businesses grow, develop and flourish. The 'Make sure your adviser is a Chartered Accountant' initiative is targeting business owners, particularly SMEs, to raise the profile of what a CA does, what services they can offer and how they differ from other accountants. The public will be able to access valuable guidance about choosing, appointing and assessing their accountancy and business advisers, as well as understanding the impact a CA could have on their organisation. 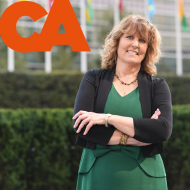 ICAS Executive Director of Professional Standards Michelle Mullen said: “I am delighted that ICAS can support our practitioners, firms and members in business in this innovative way. "The initiative has been designed to promote the value of CAs as the trusted advisers of business. It is also a public campaign that will help new and established businesses to make an informed choice about their advisers. Firms will be able to request a pack of marketing materials from ICAS that includes the option to add their own name and logo, enabling them to benefit from the public-facing campaign initiative and proudly say: "We are CAs." You can find out more or request a pack for your firm by visiting our dedicated website. What do you feel CAs can offer businesses as advisers? Tell us in the comments below.